Home / Blog / Inspiration / Glazing Extensions. Why Build into the Light? Glazing Extensions. Why Build into the Light? There is a lasting appeal to homes with plenty of light. 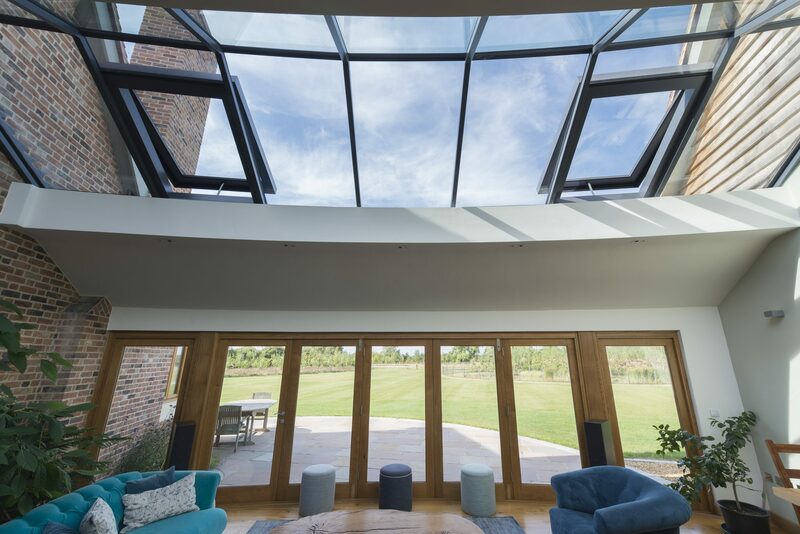 Even when viewed from the exterior, if we see plenty of windows – especially larger ones, or even the utilisation of architectural glazing, we tend to think of that home as more desirable than one with smaller windows. It’s natural for us to gravitate towards the light. And the benefits of natural light have been well documented. Plus the more natural daylight that reaches your interior, the less you have to rely on artificial lighting – even in the darker months. Plus there’s the additional benefit of passive solar gain in the winter when the sun does put in an appearance. Today’s specialised glazing has a high thermal performance making it easy for you to control the internal temperature of your extension. All these reasons add up to more homeowners than ever looking to creating a glazed extension when choosing to extend their home. There’s also the added enhancement of being able to create something truly unique. Structural glazing, unlike many conventional building materials, allows for the creation of real design statement solutions with the total wow factor. What’s more, if you have a period property, conservation officers are often sympathetic to designs where there is a visible difference between the original building and the modern glass extension. Also, glass is transparent. Therefore utilising glazing as your main material for an extension to a period property can be more sympathetic than a traditional style of extension. When planning your extension it’s also about location, location, location. If you are working with an architect, they will advise you on this. Or Vision AGI also offer a full planning and design service. For example, a south-facing extension will receive more sun. However, a north-facing extension can bring in the light where it is needed. Glass allows for the illusion that you are part of the outdoors, while giving you all the comfort and benefits of indoors. You can opt for timber framing or even walls of pure glass. You can also choose load-bearing glass columns or beams or opt for a steel frame. Talk to Vision AGI or your architect about just how glazing can extend your home out into the light. For more inspiration, visit our case studies.